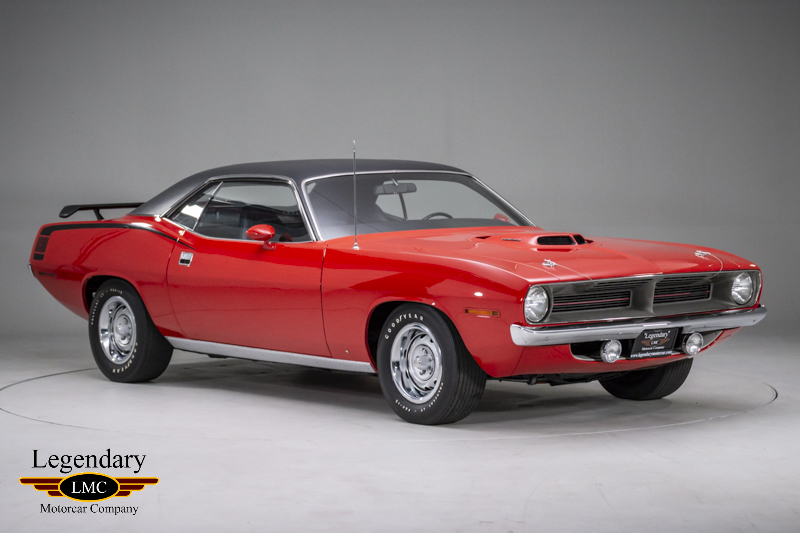 LMC is very proud to offer for sale this 1970 Plymouth Hemi Cuda. 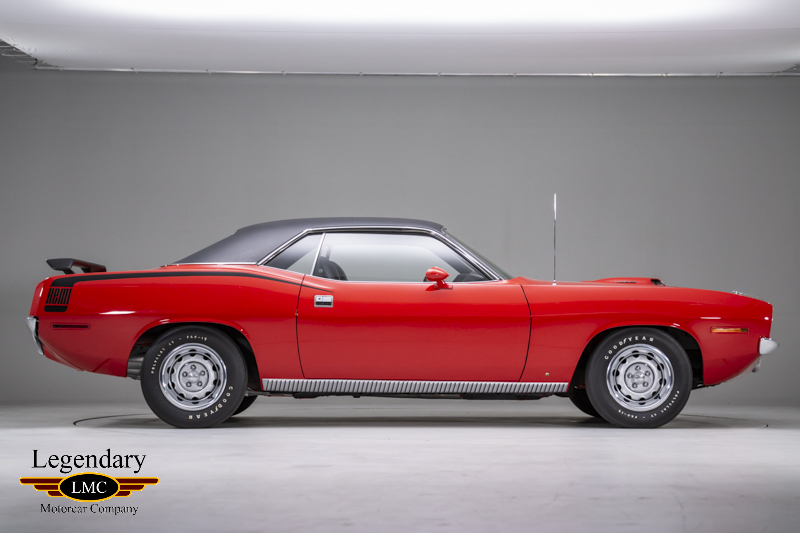 The Plymouth Barracuda and sport model ‘Cuda variant had very humble beginnings. 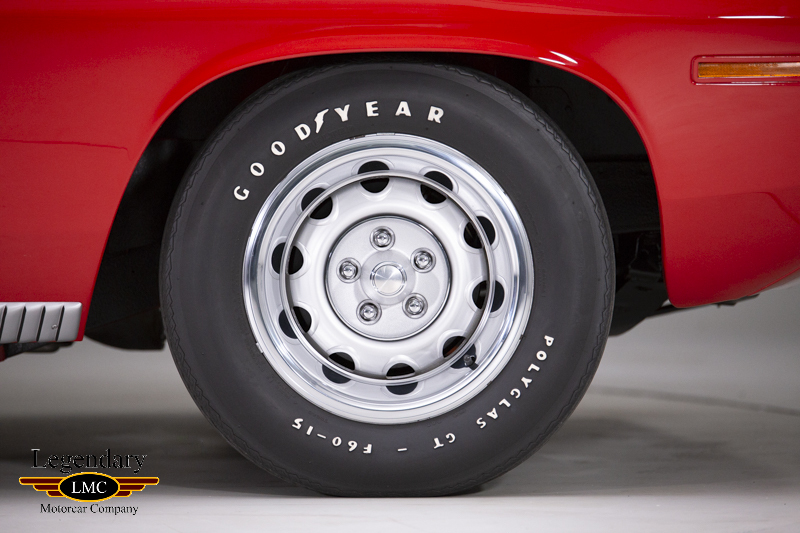 Starting out as a redesigned Valiant set to take on Ford’s incredibly popular Mustang. 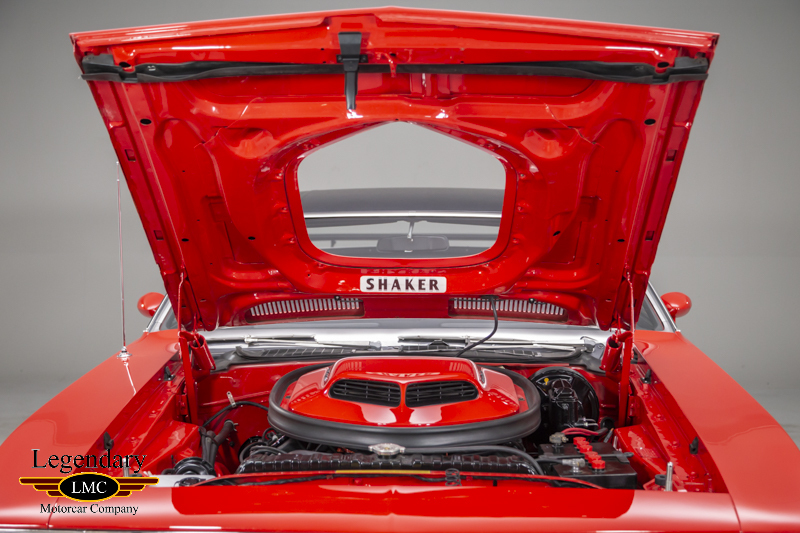 Although it didn’t take off in popularity like the Mustang, it developed a loyal following. 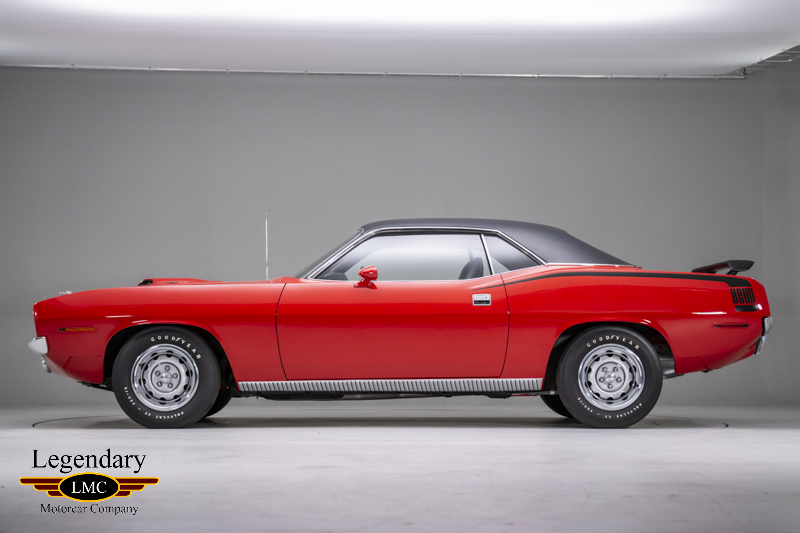 In 1970, Plymouth decided to step up its game and while the design/name only lasted until 1974 the ‘Cuda has gone down in history as one of the most attractive and desirable muscle cars ever built. 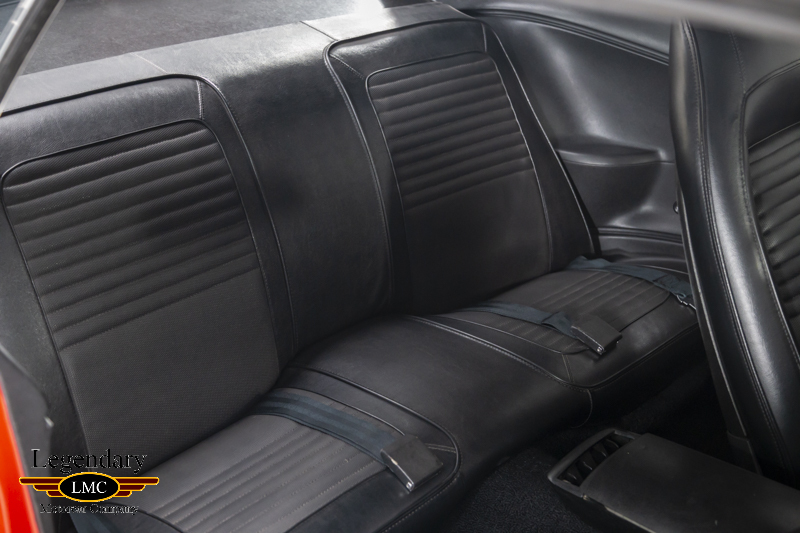 The 1970 model had the new E-body which was shorter and wider so removed all commonality with the Valiant. 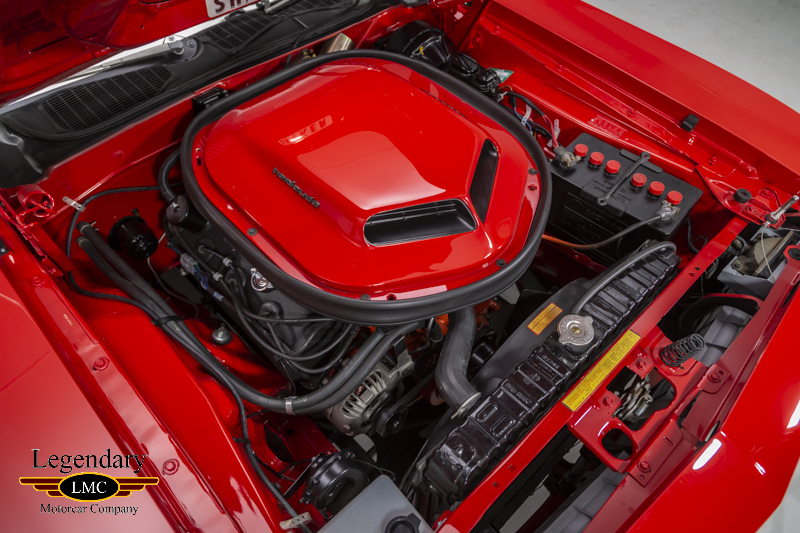 For engines the 1970 Barracuda/Barracuda Gran Coupe/’Cuda line up had six and eight cylinder versions ranging from a new 198 cu in six to the mighty 426 Hemi. 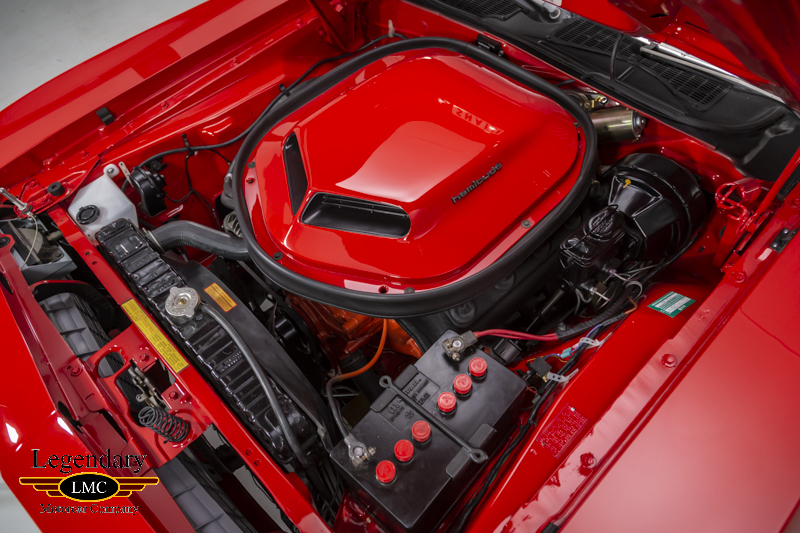 In 1970, as it is today, the 426 Hemi is the king of the Mopar Big-Block power options that provided 425 angry horses according to the factory. 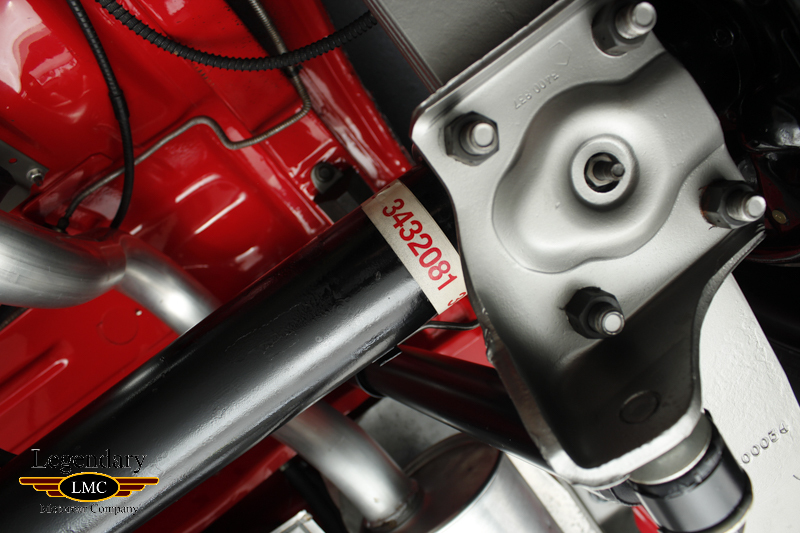 However, it is well known that this was a very conservative horsepower listing. 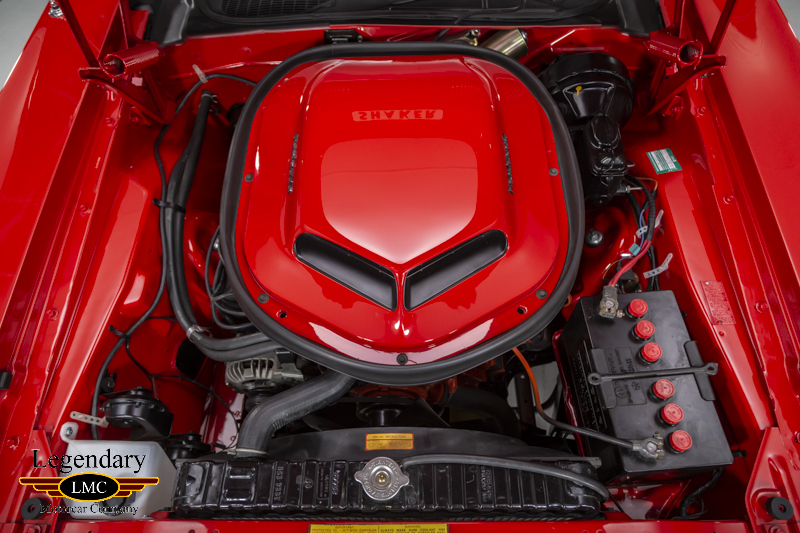 The 426 2-4bbl power plant took on a very mean and nasty look when they can be seen peering through the famous Shaker Hood. 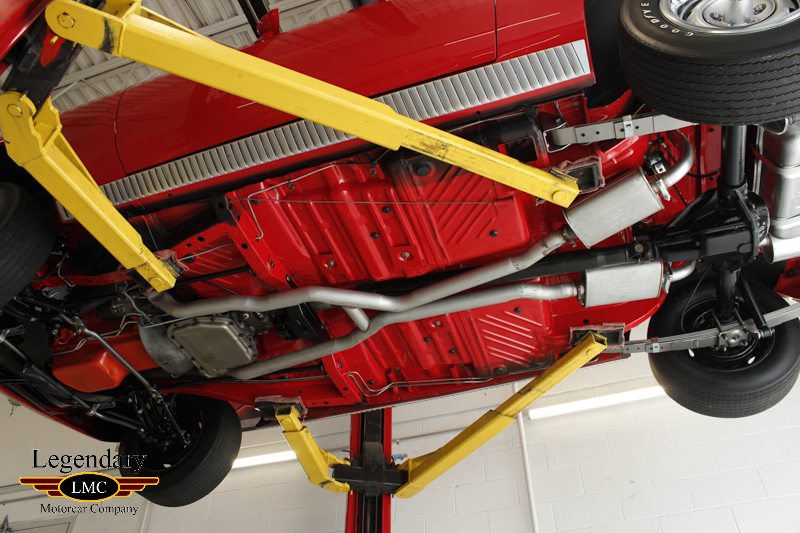 As well the Hemi-equipped cars received upgraded suspension components and structural reinforcements to help transfer the power to the road. 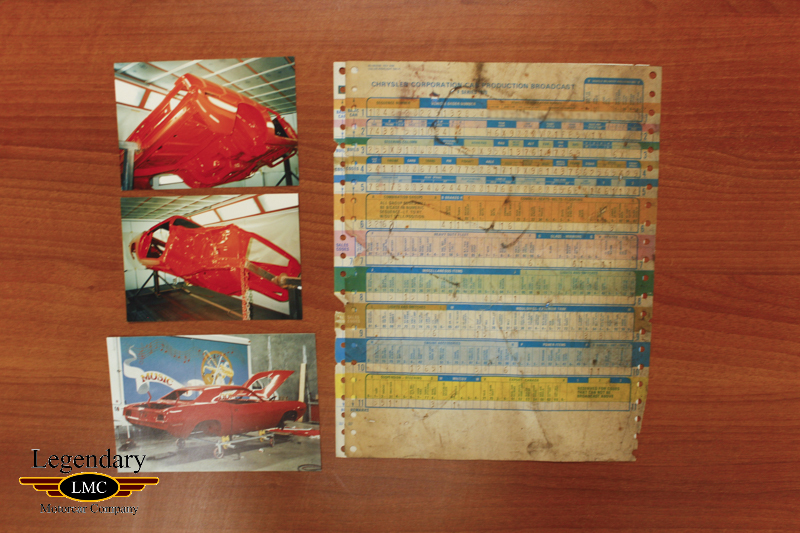 The other aspect of the Mopar Muscle cars of this era was the "high impact" colors that were on the order sheet. 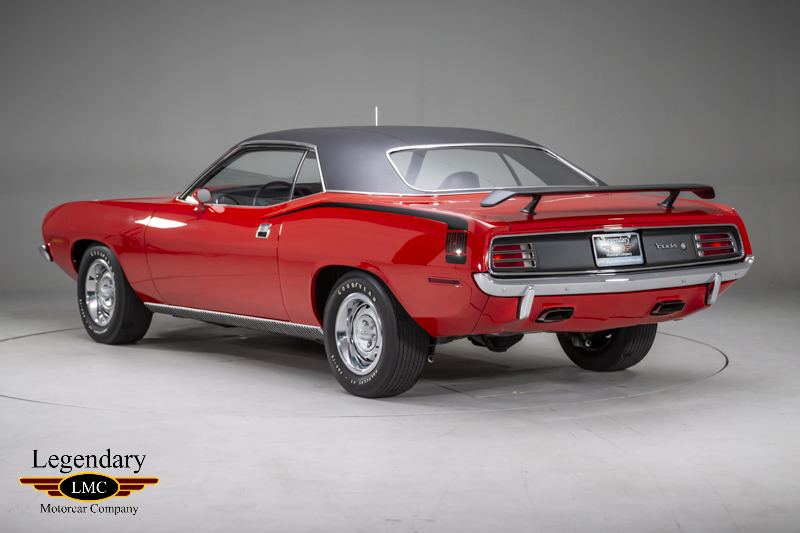 Mopar also sported some of the best go faster stripes like the Black Hockey Stick on the hind quarter of the ’70 ‘Cuda proudly displaying the engine block such as Hemi in the stick blade. 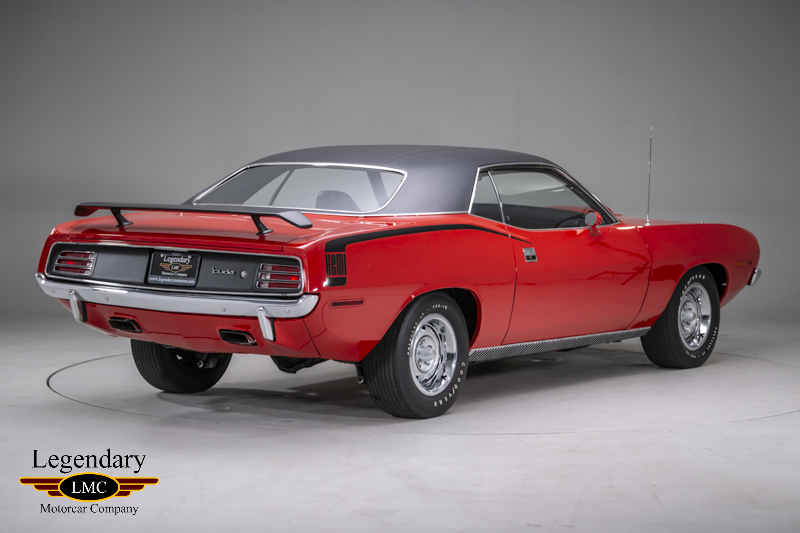 Plymouth advertised these cars as part of their ‘Rapid Transit System’ and suggested “There are two kinds of Barracudas in this world. 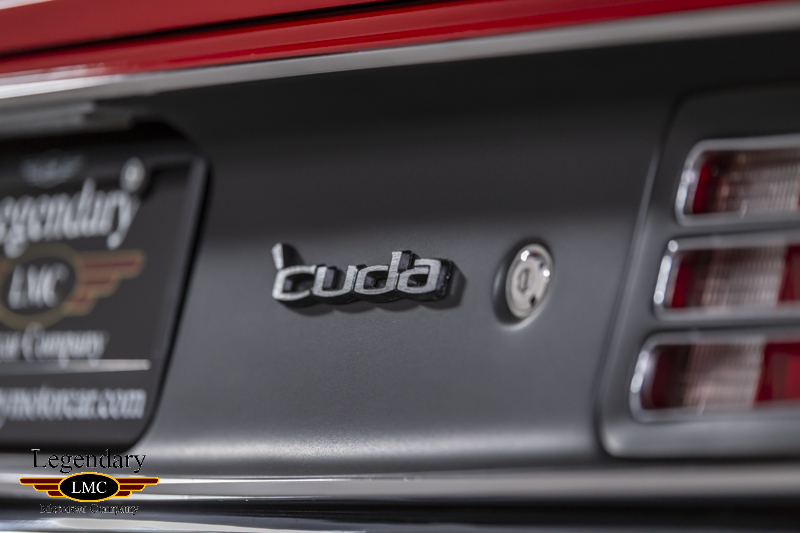 Those that do… and those that really do”. 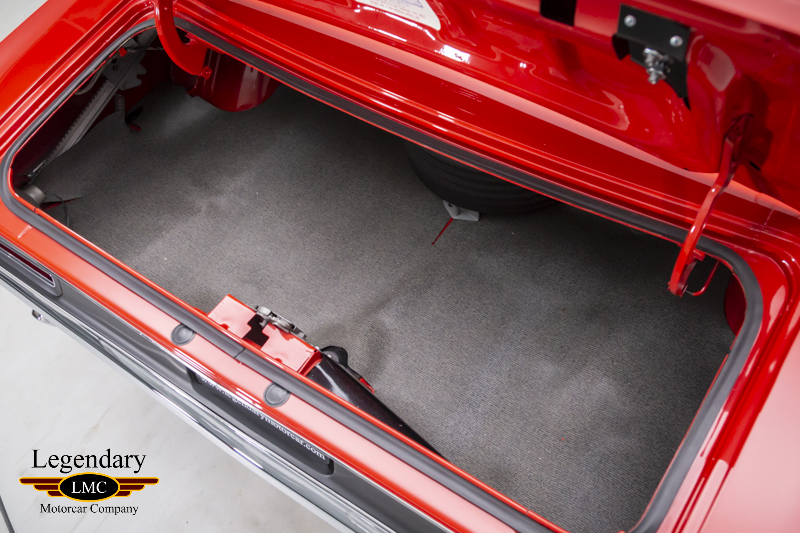 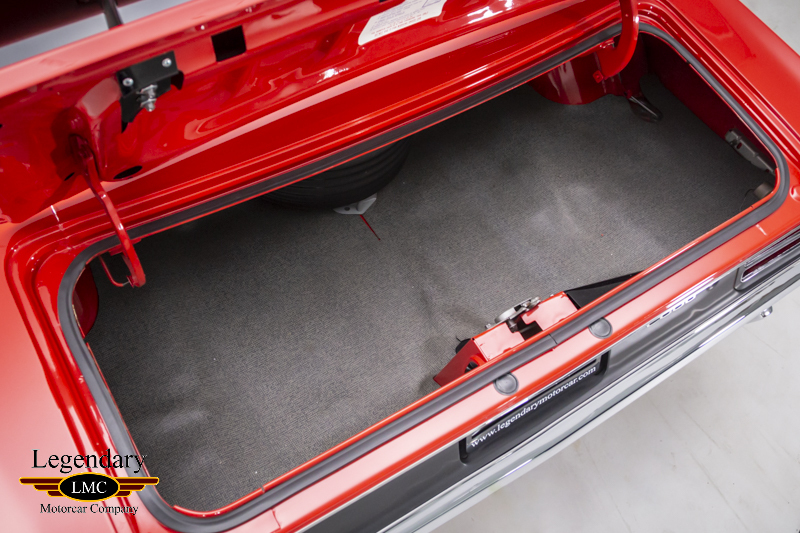 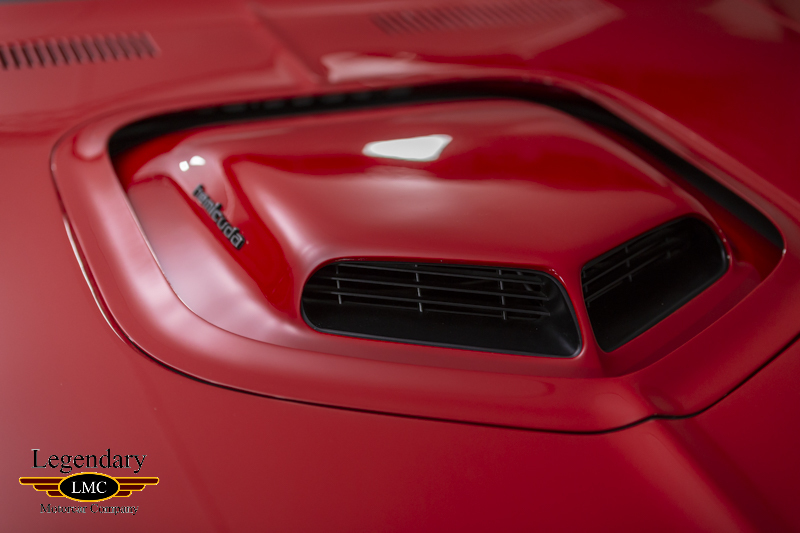 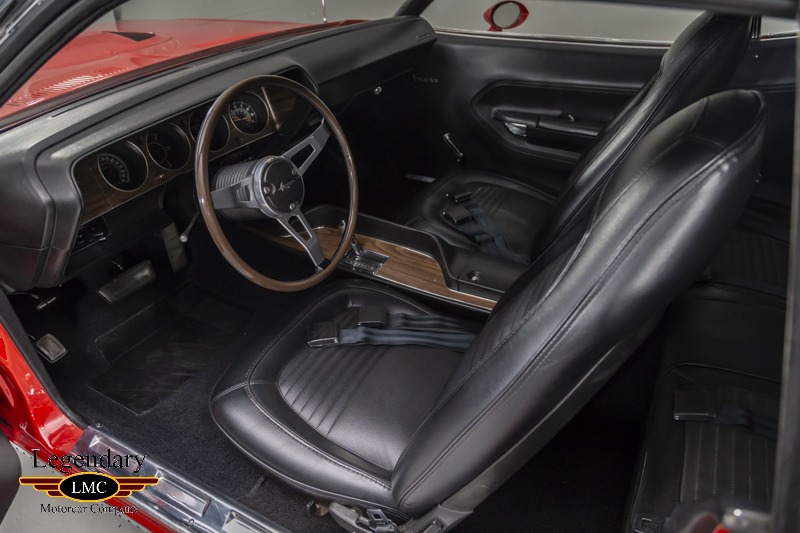 This factory “R” code 1970 Plymouth HEMI ‘Cuda shows beautifully in FE5 red with a black bucket seat interior. 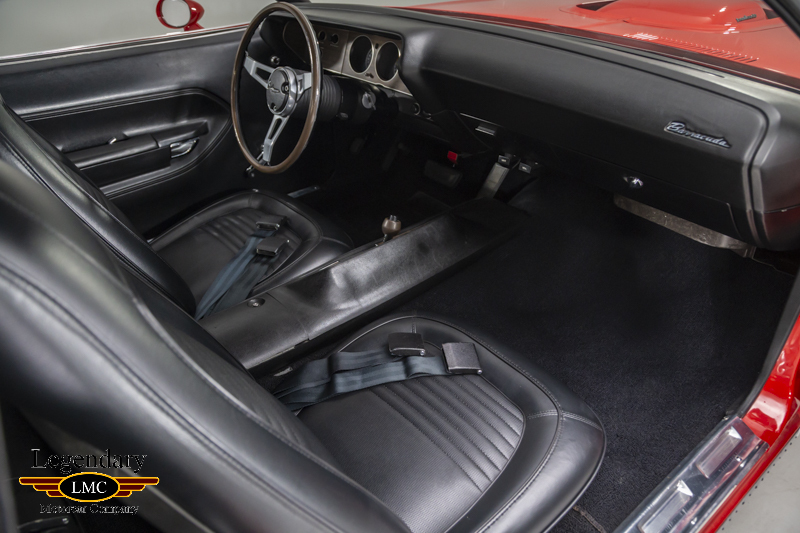 Powered by the “R” code 426ci HEMI engine and Torqueflite automatic transmission, the car also has the Super Track Pak option with 4.10 ratio Dana 60 axle. 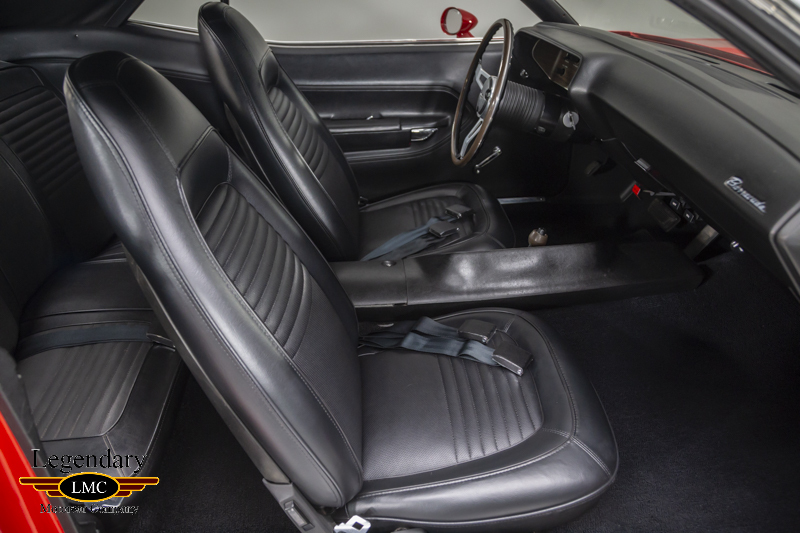 Other options on the car include power brakes, front disc brakes, rallye instrument cluster, consoles, tachometer, maximum cooling packages, dual racing mirrors, hood tie downs, body sill moldings, drip rail moldings chrome exhaust tips, tach and of course the painted Shaker hood. 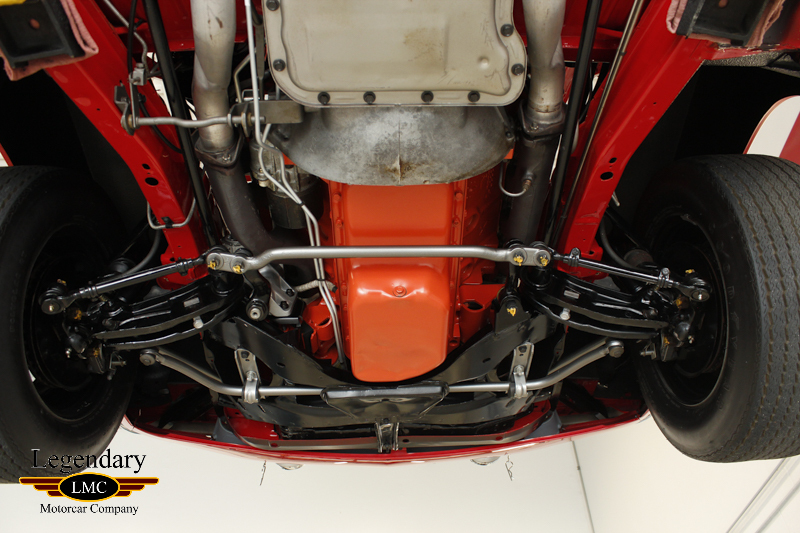 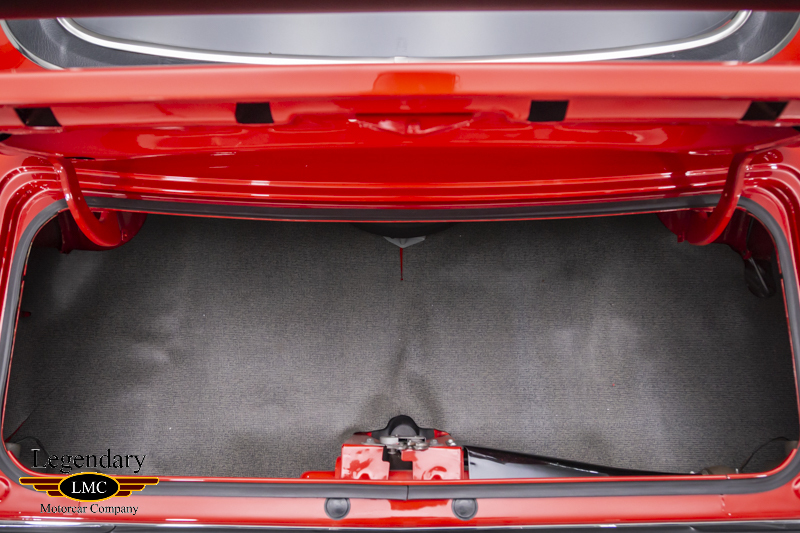 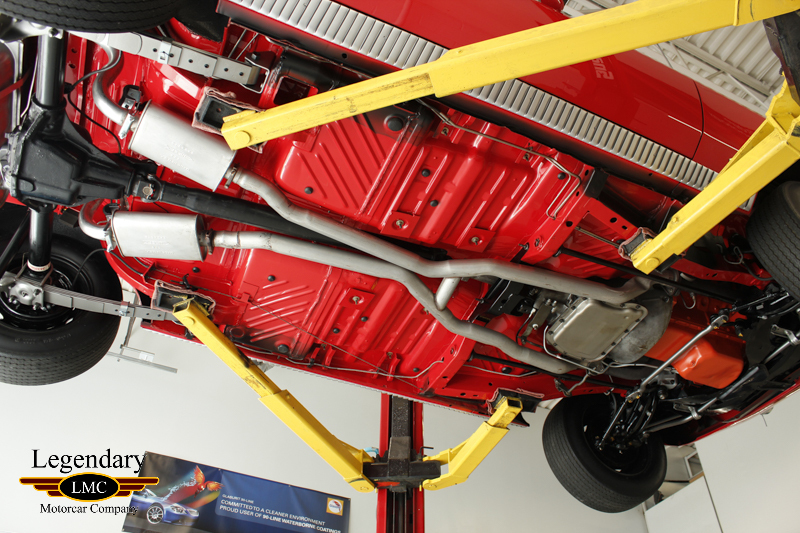 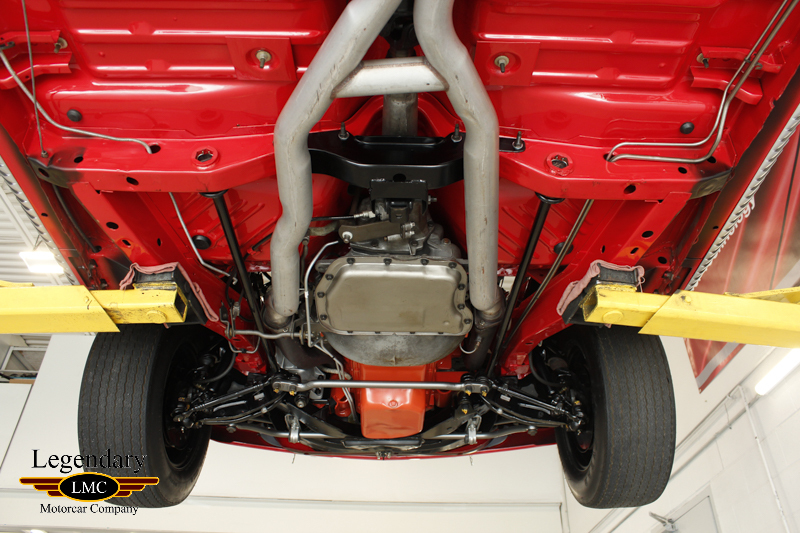 This car has been subject to a ground up restoration where the undercarriage, engine bay and exterior have been finished to high quality. 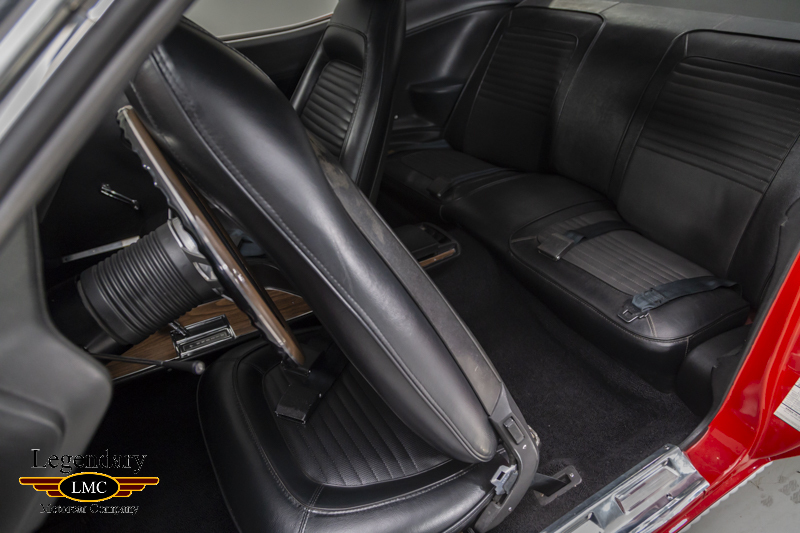 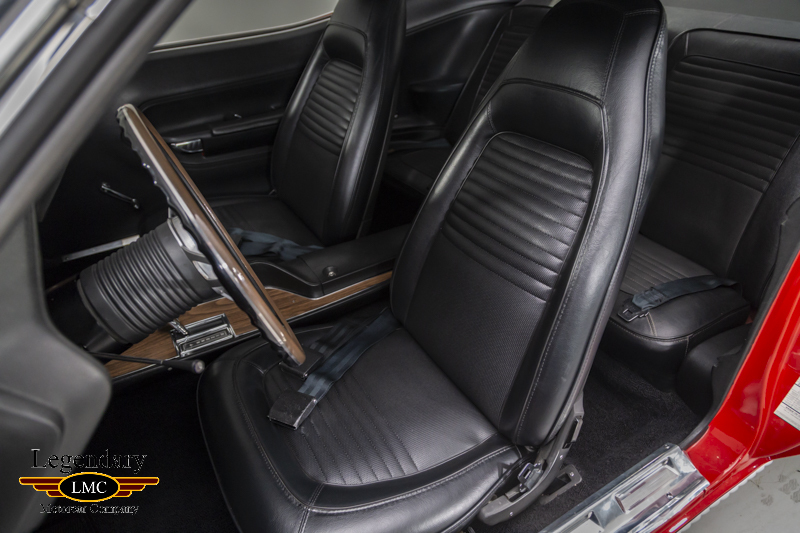 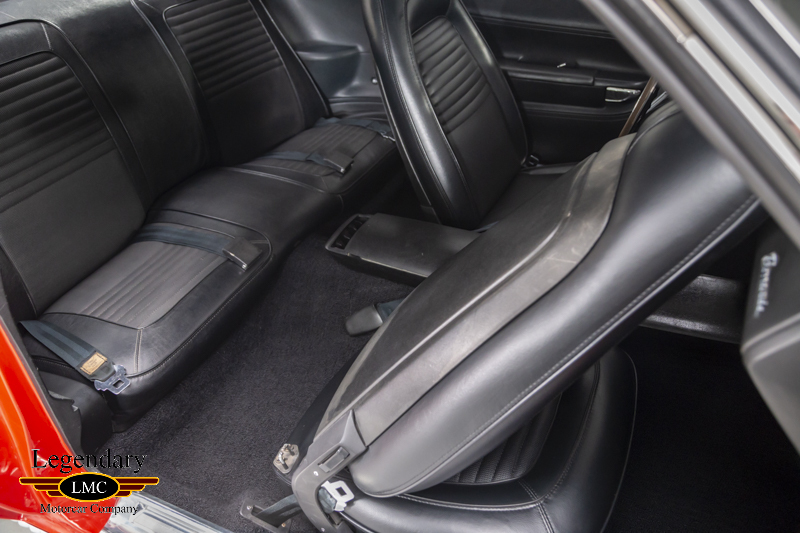 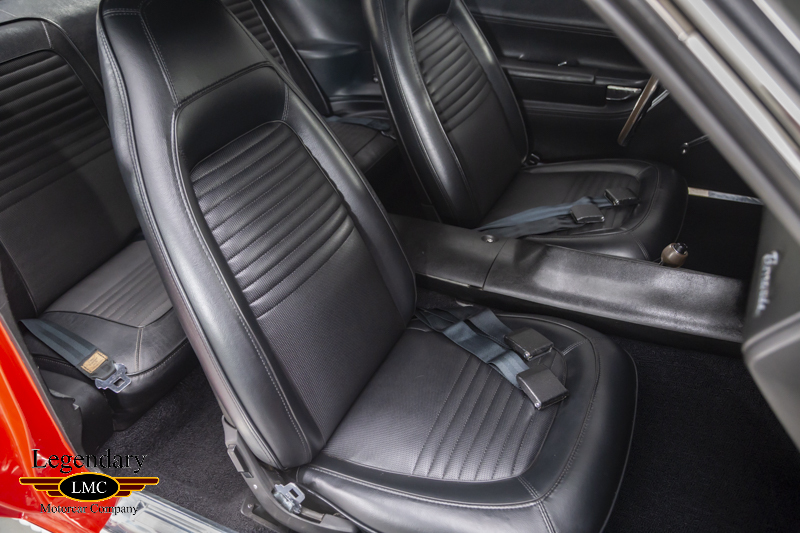 The black bucket seats interior looks as good as new. 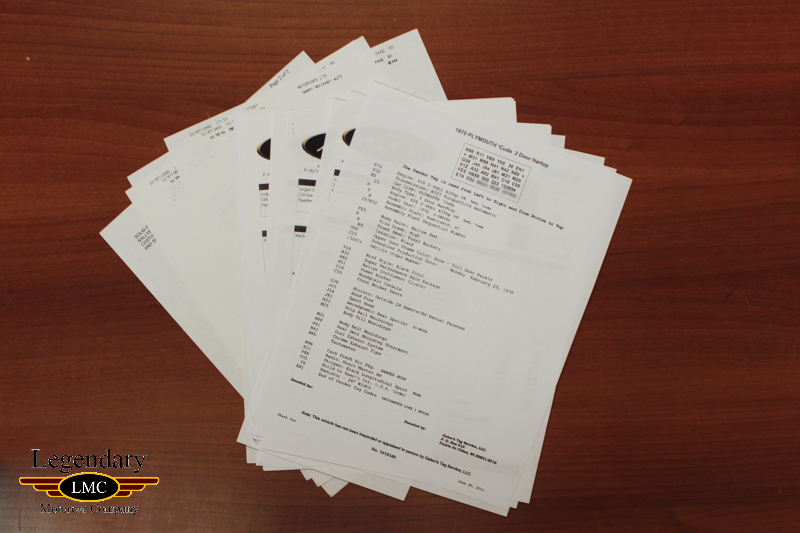 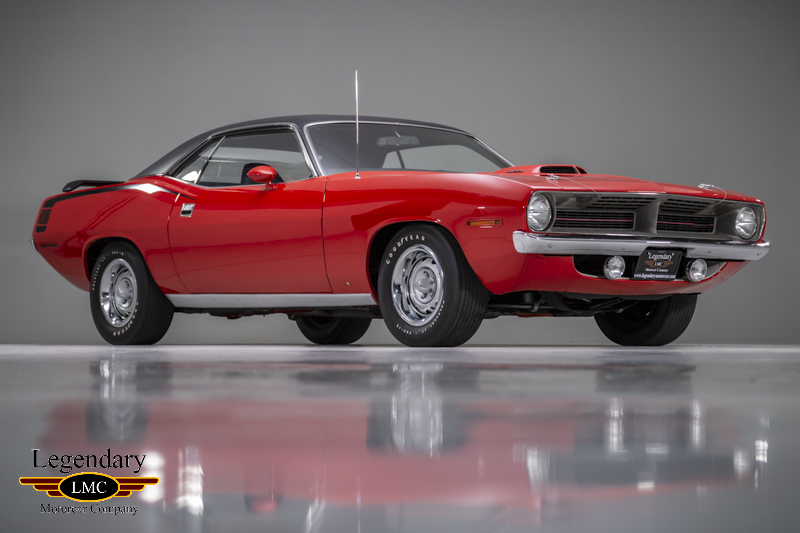 This Cuda comes fully documented with original broadcast sheets and Galen Govier documents. 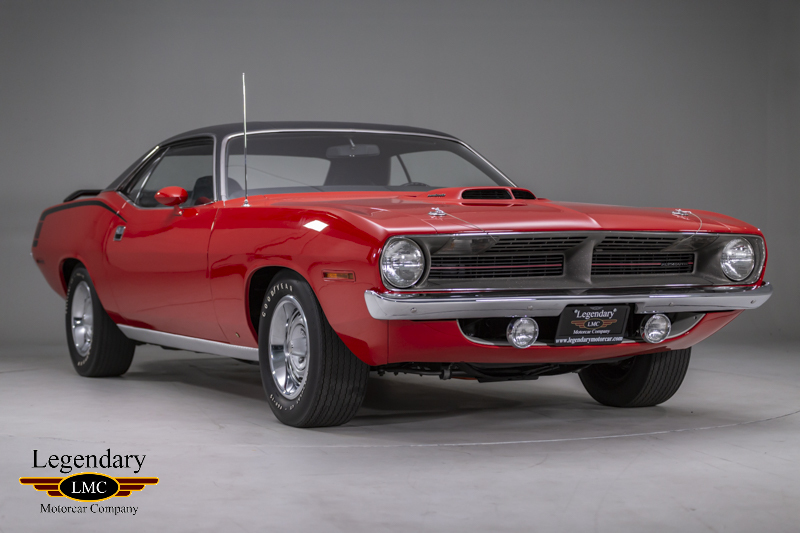 A factory HEMI Cuda’ is certainly among the most desirable muscle cars of all time, in a market flooded with recreation cars, finding a real “R” code HEMI Cuda is a challenge, particularly one which presents itself so well in such a desirable color. 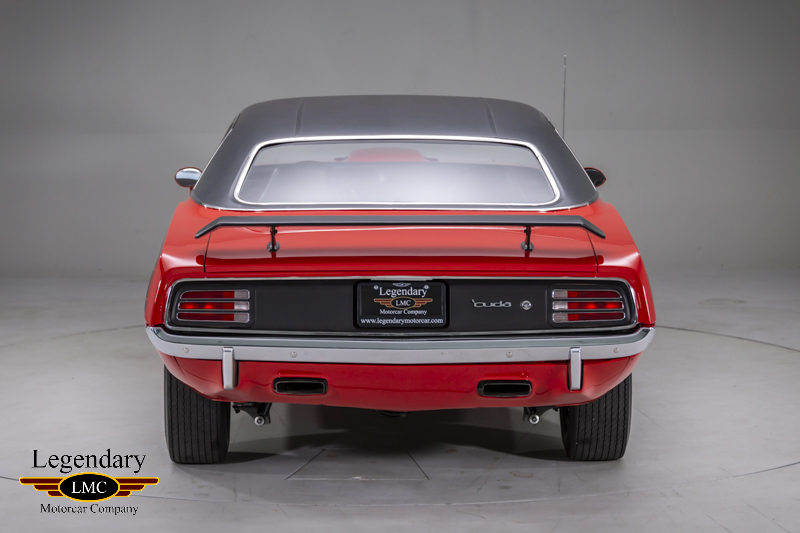 All the right options with an elephant under the hood make this a great opportunity for the muscle car or MOPAR collector. 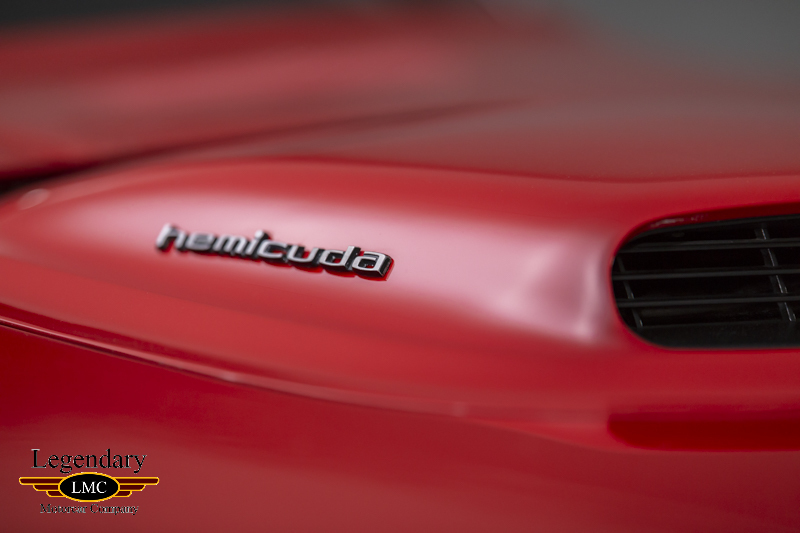 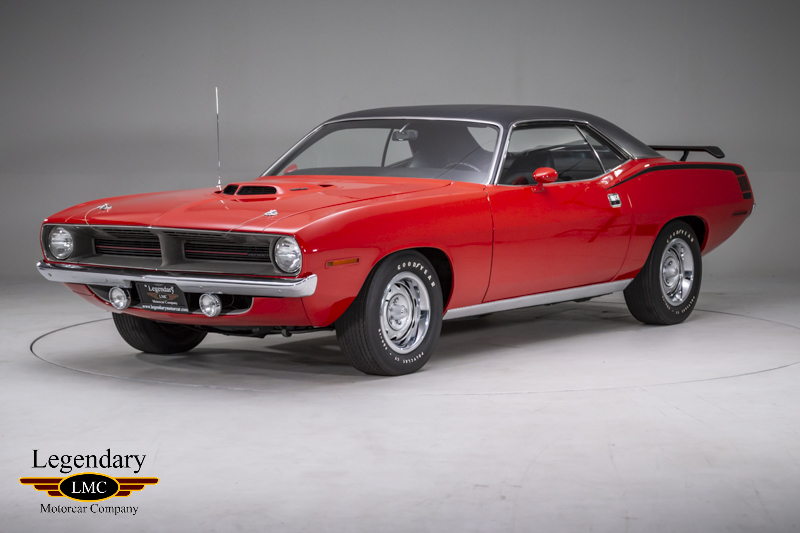 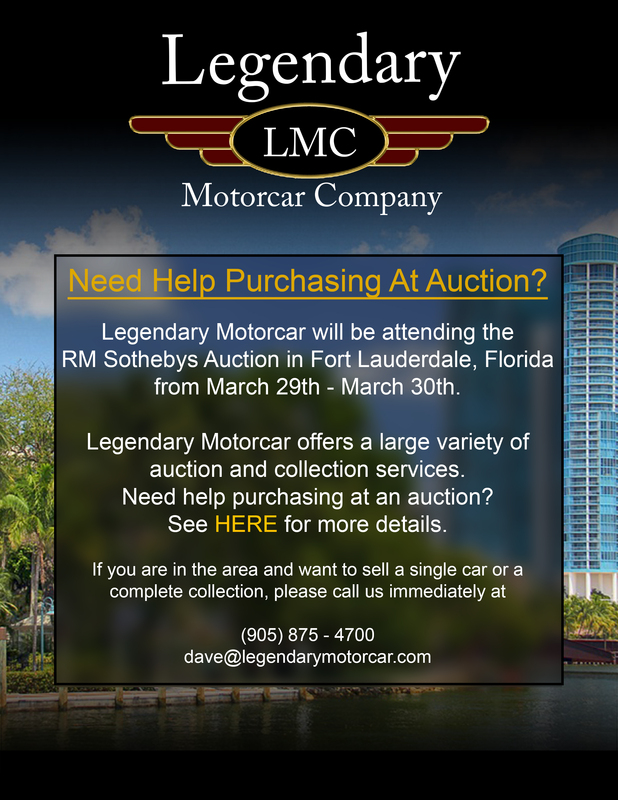 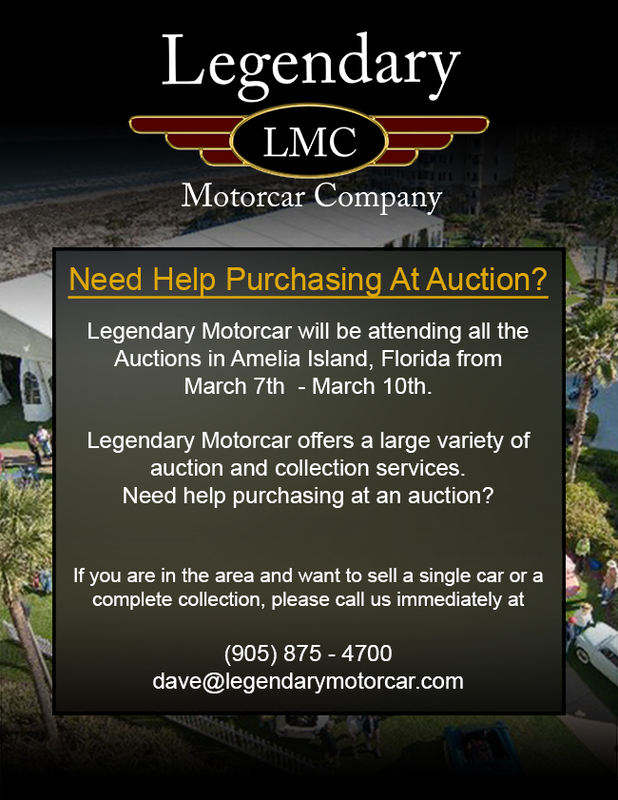 Legendary-Motorcar-Company-Ltd-2018-078 Plymouth 1970 Plymouth Cuda HEMI 2018-078 199000.0000 Legendary Motorcar Company Ltd.